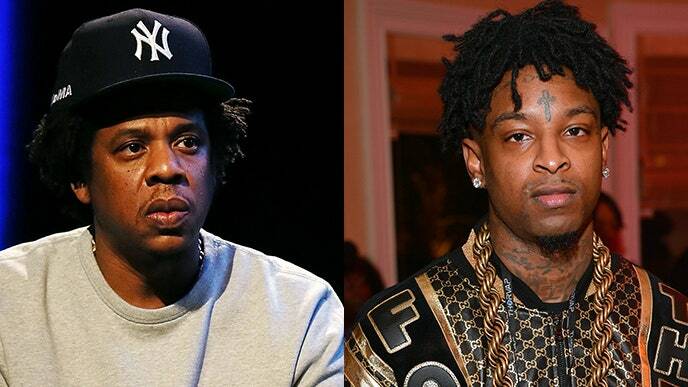 Jay-Z is lending a helping hand to 21 Savage who was detained by ICE this past Super Bowl weekend in Fulton County, Atlanta. 21 Savage who’s real name is Shéyaa Bin Abraham-Joseph was detained after Atlanta cops pulled him and his cousin Young Nudy over. Young Nudy was the intended target, supposedly when the cops ran 21’s name the “A Lot” rapper name came up for an expired work visa. According to 21’s lawyer he applied for a U Visa recently, while Jay-Z says he applied 4 years ago. Jay-Z also notes how 21 Savage is an engaged father of 3 children who were born in the U.S. He says how in 21 Savage’s son “A Lot” he has a bar about how he couldn’t imagine his kids being stuck at the border, and how it’s in his words “not a coincidence “. Honestly I think thats a stretch, but that’s just my opinon. Meek Mill as well has a pending court case that could impact his and his family’s life. Next Terry Crews Sympathizes W/ Black Man Killer Fantasizer Liam Neeson!